Officers are investigating a crash that caused severe vehicle damage in Brampton this evening. 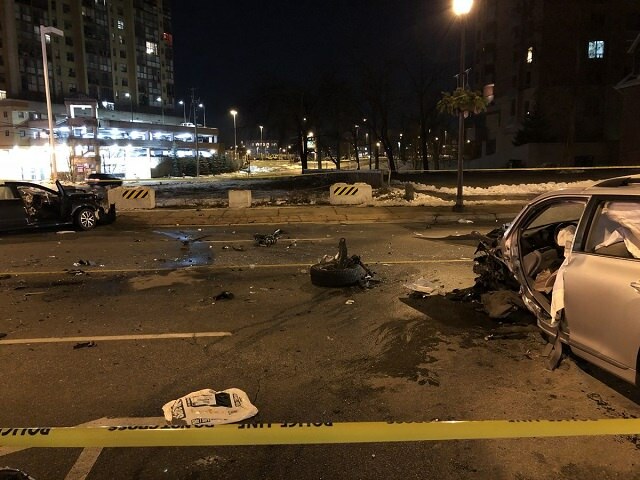 Around 8:30 p.m., Brampton Emergency Services reported a collision involving two vehicles at Main and Church Street. Two people who were trapped in a vehicle were extricated by paramedics and taken to hospital. The cause of the collision is being investigated with regards to impaired driving, police said at 11:40 p.m.